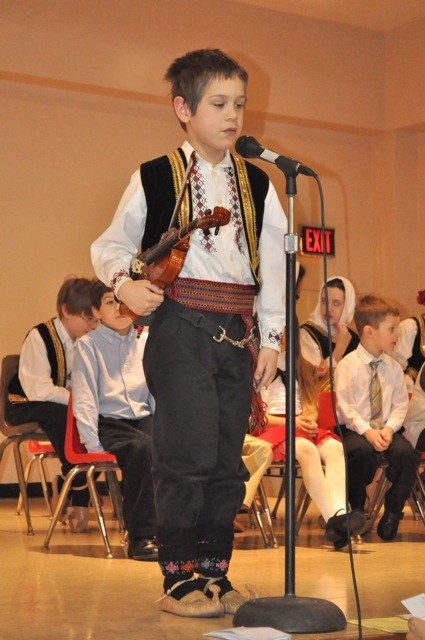 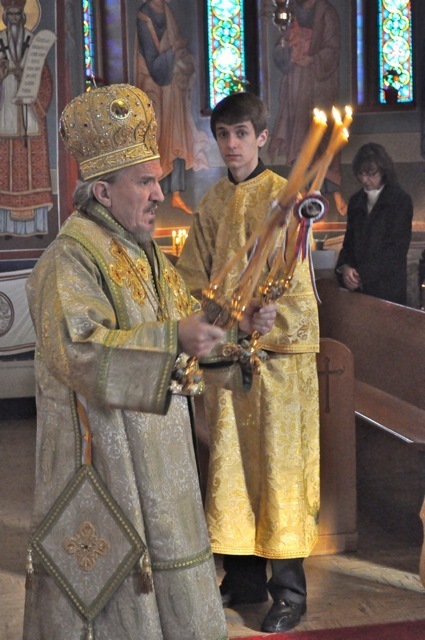 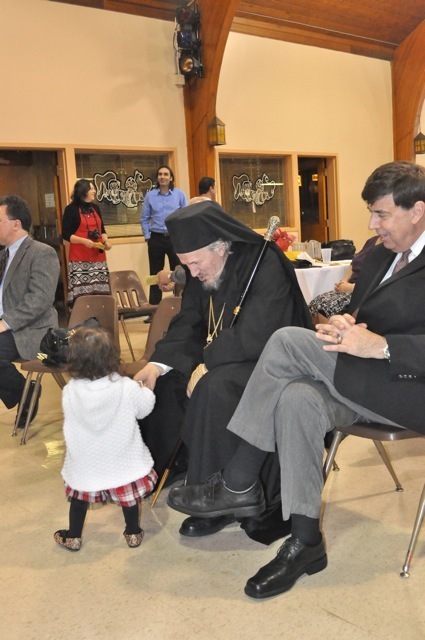 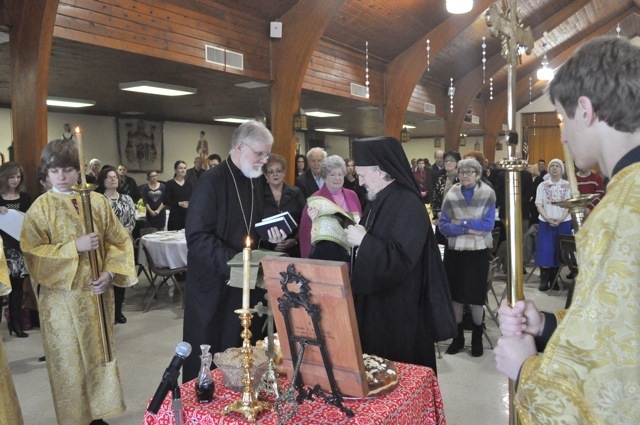 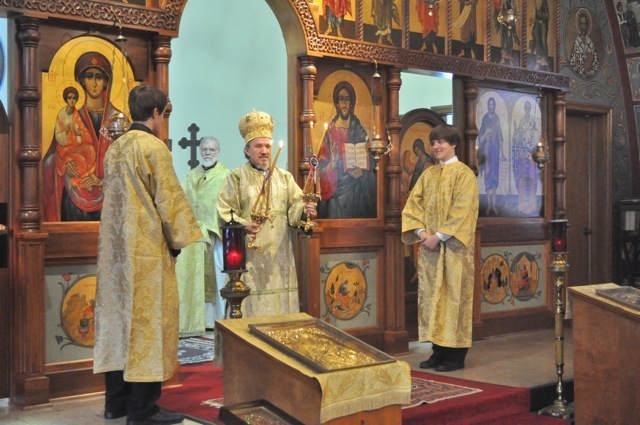 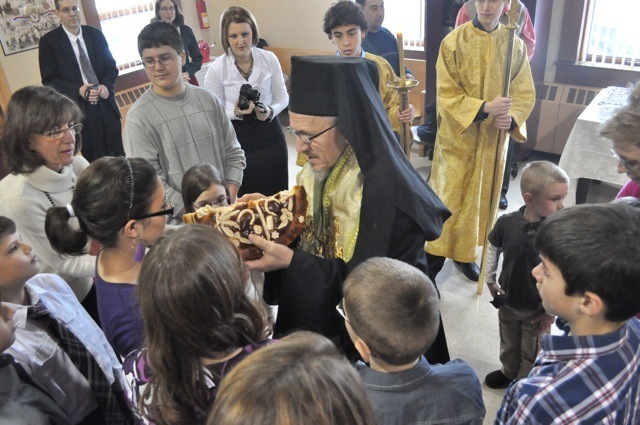 Lackawanna, NY - On Sunday, January 22, His Grace Bishop Mitrophan visited Lackawanna and presided at the annual celebration of the combined temple slava of St. Stephen, and the church school slava of St. Sava. 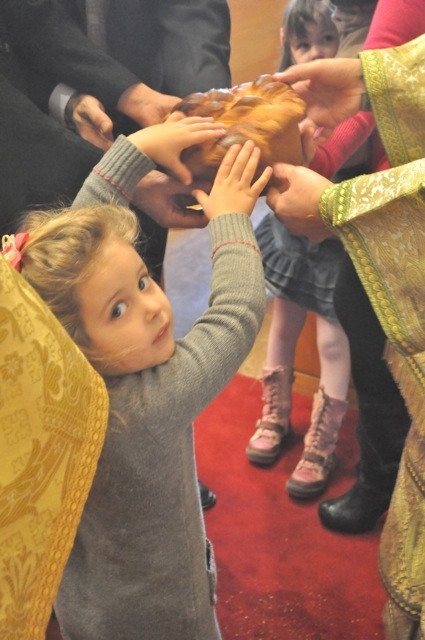 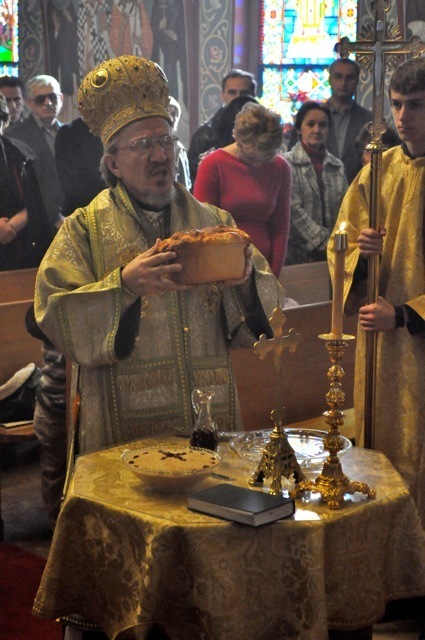 Following the Liturgy the kolach for the St. Stephen slava was blessed in the church. 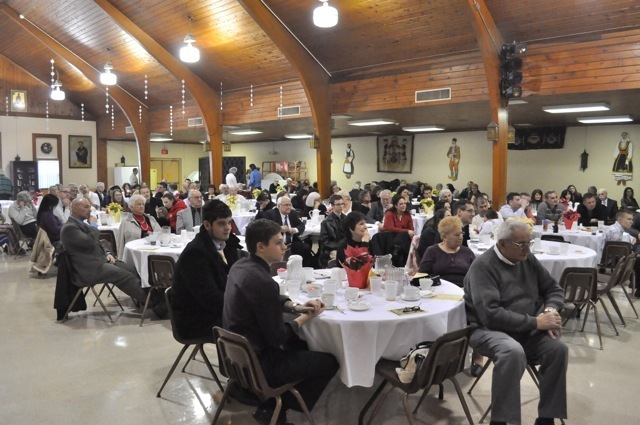 Before the dinner the kolach for the St. Sava slava was blessed in the hall. 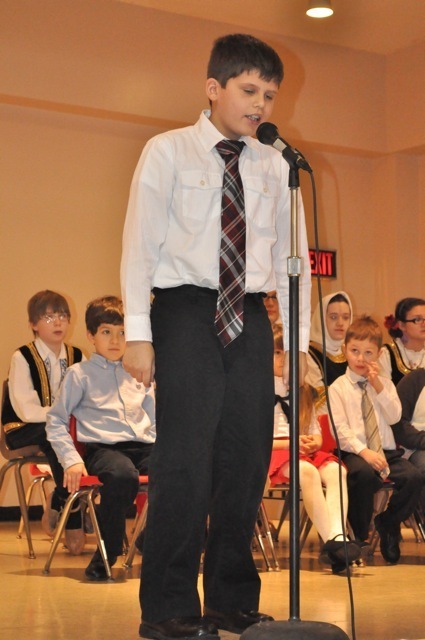 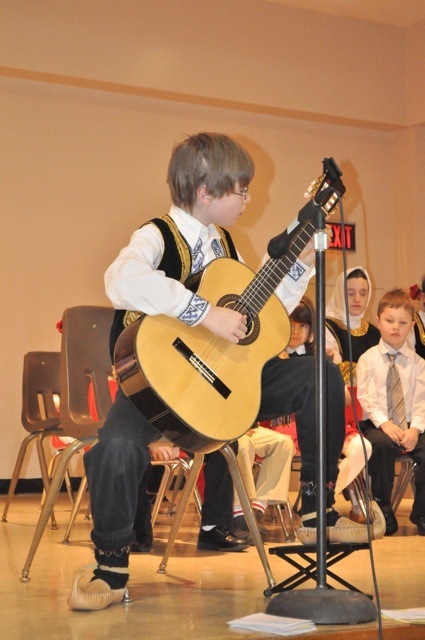 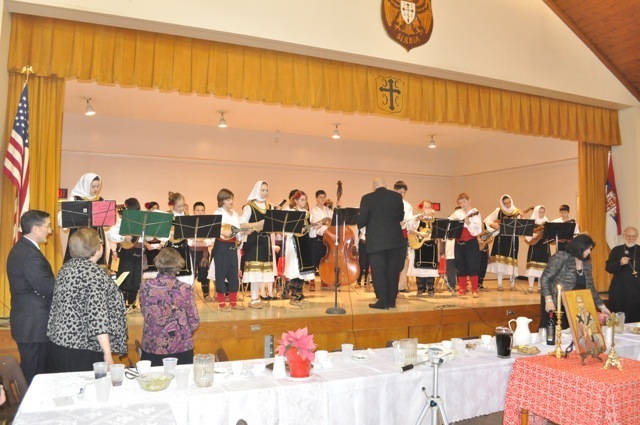 The annual St. Sava Program followed the dinner.